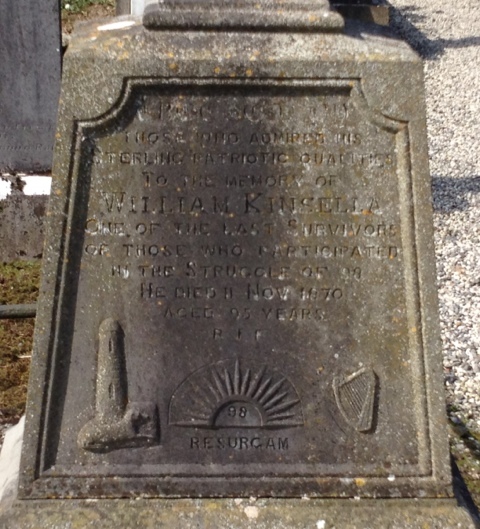 In 1870 William Kinsella, a man regarded to be one of the last survivors of the 1798 rebellion died. Kinsella lived most of his life in Castlecomer, a mining town in North Kilkenny. 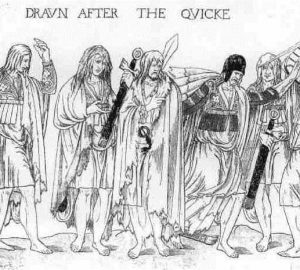 Although difficult to prove at the time he was most likely the last survivor of the rebellion. His life was extraordinary. 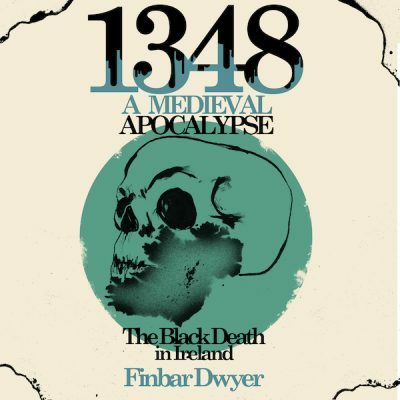 He not only survived the brutal repression that followed the rebellion but also a recession in the 1820’s and 30’s that saw 1.5 million emigrate and then the famine. 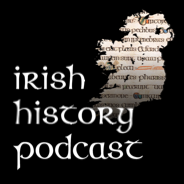 According to local lore Kinsella came to Castlecomer with rebels from Wexford when they pushed North under the leadership of Myles Byrne and Fr John Murphy. Although they took the Castlecomer in June 1798 they were driven out. However the 23 yr old Kinsella stayed behind during the retreat. 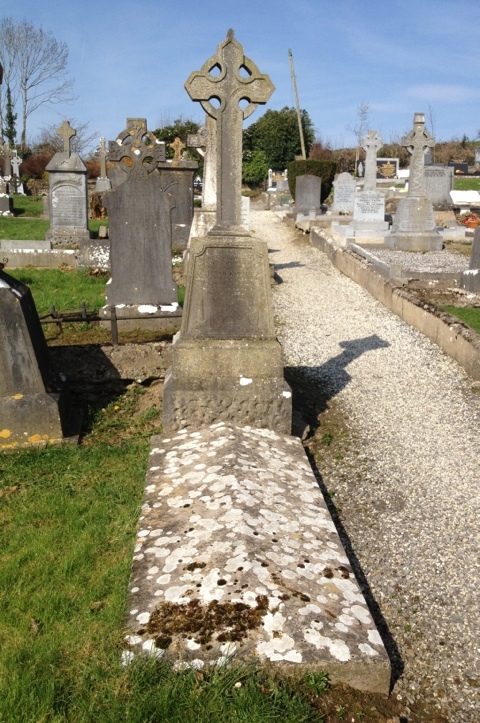 72 years later when he died his past was not forgotten and an elaborate tombstone was erected in Castlecomer cemetery. Below the inscription is a carving of a round tower and a wolfhound, a rising sun and a harp.